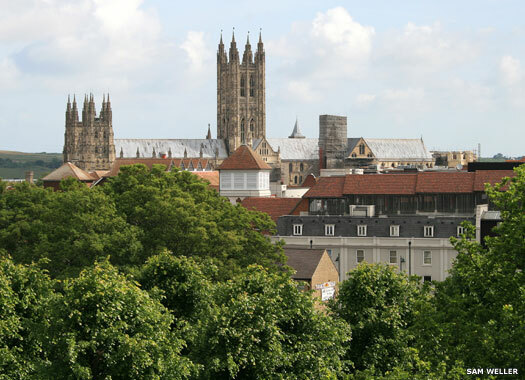 Canterbury Cathedral lies at the heart of the Kentish city, the seat of the foremost bishop of the church in England and the mother church of the Anglican Communion. 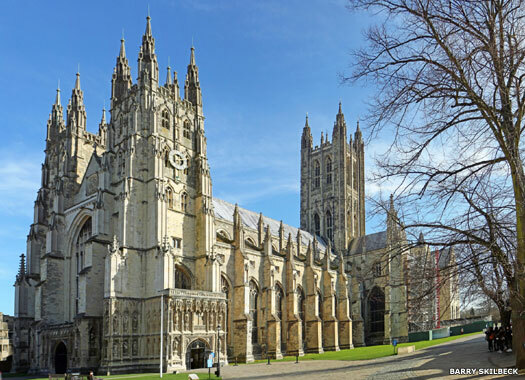 Its full name is the Cathedral and Metropolitical Church of Christ at Canterbury. It was founded by the missionary St Augustine in AD 597 as his cathedra, Latin for 'seat', the origin of 'cathedral'. Augustine was initially allowed by the king of Kent to worship at St Martin's before work began on this church. 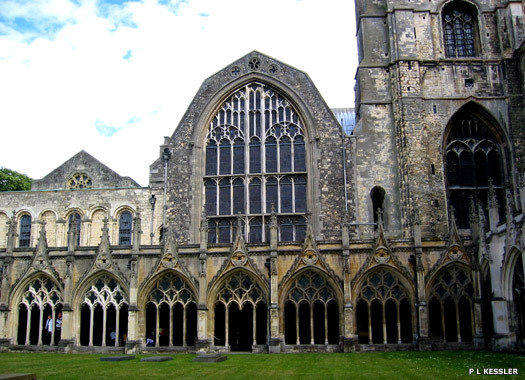 During the Saxon period the early Christchurch was extensively rebuilt and enlarged, and Augustine's original building lies beneath the floor of the nave. 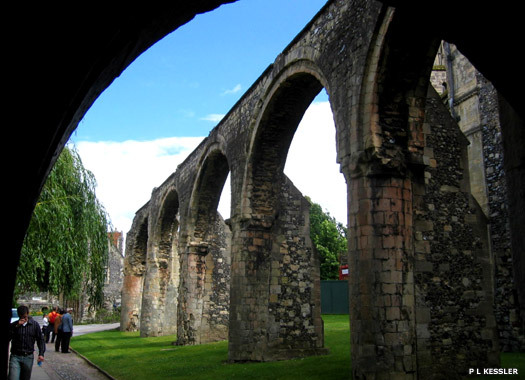 The cathedral community lived as the household of the archbishop until the tenth century, when it became a formal community of Benedictine monks. This arrangement remained in place until the monastery was dissolved. Before this, the Saxon cathedral was damaged when it was sacked by the Danes in 1011. No sooner was the cathedral repaired than it was ravaged beyond repair by a great fire which swept through the city in 1067. Following hard on the heels of the Norman Conquest, it must have been a hammer-blow to the Saxons. 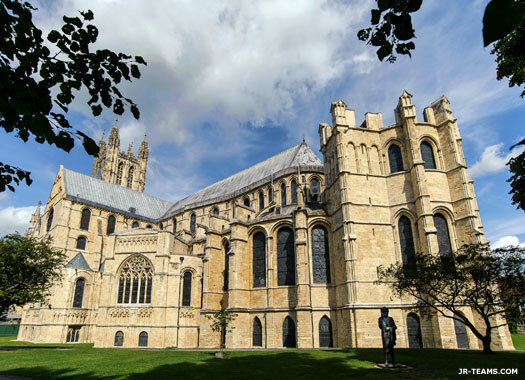 However, work soon began on a magnificent new Norman cathedral, between 1070-1077. The stone was brought from Caen via the great coastal town of Sandwich and up the River Stour to Fordwich, which was Canterbury's main port. The finished cathedral was one of the greatest Benedictine abbey churches in England, although changes have been made to it since its completion. Between 1098-1130 a new quire built over a crypt (the present Western Crypt). 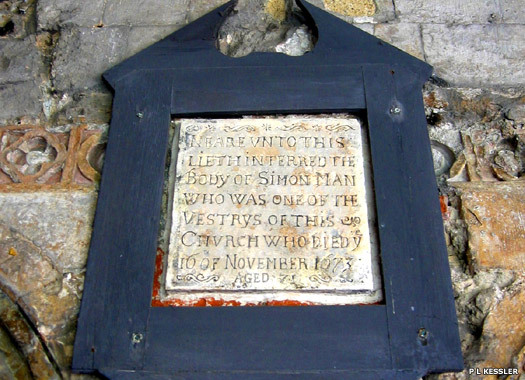 Monumentally, in 1170 Archbishop Thomas Becket was murdered in the cathedral. 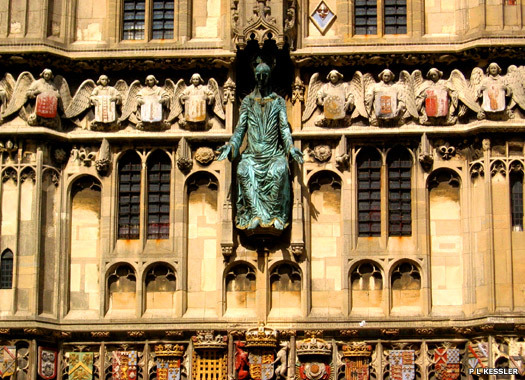 The site of his death became a shrine which encouraged thousands of pilgrims to make the journey to Canterbury, including Chaucer's famous pilgrims. The quire was rebuilt and extended after a disastrous fire in 1174 destroyed the earlier structure. Becket's shrine was placed in the Trinity Chapel in 1220. 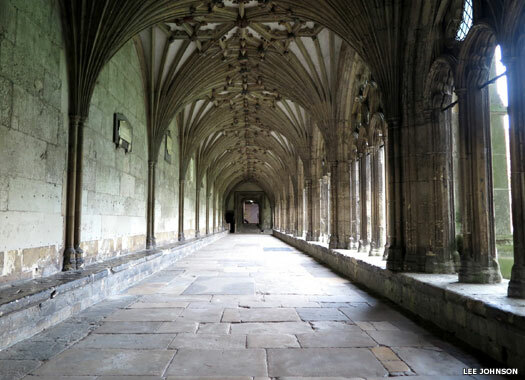 Construction of the Great Cloister (seen here) began in 1396, with the great windows of the Chapter House, which is the largest of its kind in England, looking down over its Perpendicular arches and lierne vaulting. It seems that this kind of enclosed precinct had its origins in the Saxon 'inner burgh' or fortified area. In 1498 the Bell Harry Tower was extended and the cathedral was largely as is today. Today's main entrance to the cathedral grounds is the Christchurch Gate, which was built between 1517-1521. Three years of turmoil erupted in 1538, when Becket's shrine was destroyed by Henry VIII. Two years later the monastery was dissolved by royal command, and in 1541 a new foundation involving a group of clergy known as the dean and chapter was established. Beyond the library and the water tower on the northern side of the cathedral now lay the gardens containing the ruins of the Monks Dormitory (seen here). 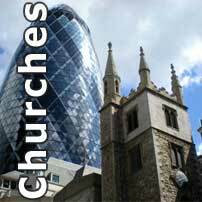 During the Dissolution they were destroyed and provision was made for the former members as long as they accepted Henry VIII as the Supreme Head of the Church in England. The site now houses the Healing Garden and Herbarium. Ruins also cover the view of the Trinity Chapel at the far end of the cathedral. During the English Civil War (1641-1651), the cathedral suffered damage at the hands of the Puritans; much of the medieval stained glass was smashed and horses were stabled in the nave. After the Restoration in 1660, several years were spent in repairing the building. These repairs took until 1704, and it was during this phase that the splendid timber doors beneath the Christchurch gatehouse (seen here) were added. They bear the arms of Archbishop Juxon (1660-1663). In the 1830s, the millennium-old north-west tower was found to be in a dangerous condition and was demolished to be replaced by a copy of the south-west tower. 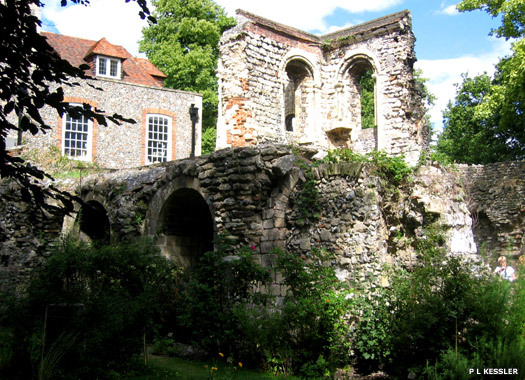 During the Second World War, the cathedral precincts were heavily damaged, as was a large area of the southern part of the city (clearly seen in the 1944 film, A Canterbury Tale), and the cathedral's library was destroyed. Fire watchers prevented incendiary bombs from setting fire to the cathedral itself. The Eglise Protestante Francaise de Cantorbery (French Protestant Church of Canterbury) holds services in the Black Prince Chantry, in the crypt, under French Protestant rites. Queen Elizabeth I allowed French-speaking Walloons from the Spanish Netherlands to escape Catholic persecution by resettling in Canterbury. They were added to by later Huguenots from France. While not part of the cathedral because they do not conform to Anglican rites, they are sheltered by it. 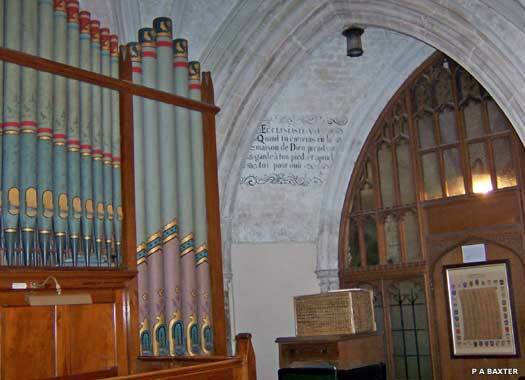 One photo contributed by Tricia Baxter, and sound recording contributed by Herbert Boland.